The number of videos online is growing daily. Video is becoming one of the most popular ways to consume online content, and is estimated to account for more than 80% of all web traffic by 2019. For this reason, it’s important to start thinking about how you can make video a major part of your digital marketing strategy if you’re not using it already. Businesses that don’t invest in video marketing may well find they’ve been left behind in the near future. There are several reasons why online video has grown at such a rapid rate in the last few years. Not only do web users love watching videos, but marketers have also realized that publishing video content gives them an SEO advantage due to several factors. Ever noticed that YouTube videos often take up several of the spots on the results page when you search for something on Google? With any of these queries, you’ll usually find videos ranking in at least a couple of spots on the first page. For certain search queries, it’s much easier to get a video in one of the top spots than it is to rank a blog post. For each piece of content you plan, you should consider whether it would be more helpful to the user as a video. It’s also no coincidence that Google ranks YouTube content so highly. After realizing the future importance of video, Google bought YouTube back in 2006. Videos are shared more than text content on social media, particularly on Facebook where users watch 8 billion videos per day. Video content is now outperforming all other types of content on Facebook and driving more shares over time. In recent years, we’ve also seen the emergence of video-only social networks such as Snapchat, where users watch 10 billion videos every day. Live video broadcast capabilities have taken off on YouTube, Facebook, and Instagram. Video is even making an impact on text-based social networks like Twitter. Video ads on Twitter have been analyzed to be twice as memorable than other forms of advertising on the platform. It’s every digital marketer’s dream for a piece of content they’ve published to “go viral.” Viral content is shared millions of times over a short time span and can drive thousands of daily visits to your website. Any type of content can go viral, but video, or content including video, has a better chance than text content of really taking off. The viral success of video can be attributed to its popularity on social networks, but also because videos are more likely to evoke an emotional response, with awe, anger, surprise, fear, joy, and lust being identified as the emotions most associated with viral content. Funny videos can be particularly successful – just look at the amateur video of a woman trying on a Chewbacca mask that racked up millions of views within days. Brands can use humor in a clever way too. The Dollar Shave Club’s cleverly produced launch video drove thousands of natural links to the site, providing a massive SEO boost that was a big part of the startup’s success. Video doesn’t only help get more people to visit your site. More importantly, it can also help to turn those visitors into paying customers. Putting video in an email can lead to a 200-300% increase in the click-through rate. 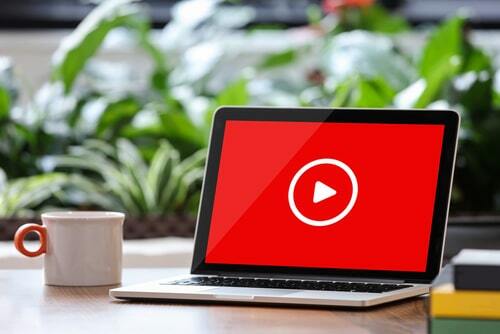 Video on a landing page can increase conversions by up to 80%. Consumers are 64% more likely to buy a product after watching a video about it. And, 60% of consumers will watch a video for at least two minutes if it helps to educate them about a product they’re thinking about buying. Unlike text content, there’s no duplicate content penalty for videos. In fact, the more places you can get to host your video, the more eyes you’ll get on it and the more likely you are to build brand awareness and get more traffic to your site. As well as publishing video on your own website and social media, it can also be uploaded to YouTube, Vimeo, and curated video sites. You can put clips of longer videos on platforms like Instagram, and these in turn can be shared by other users. All this amounts to a lot of potential links back to your site, helping to bring it up the search engine ranks and increase your traffic numbers. The average user spends 88% more time on a site that has video. This is important not only because the more time they spend on your site, the more likely they are to convert into a follower or customer, but also because your website engagement rates may impact on your organic rankings. It’s known that Google measures the amount of time a user spends on a website before going back to the result pages and this is used as a ranking factor. If people are hitting your site, glancing at it for a few seconds, and hitting the back button, it’s not a great indicator that your content is helpful or good quality. On the other hand, if they stick around for at least a few minutes, this is a good sign that they’ve found something that interests them. 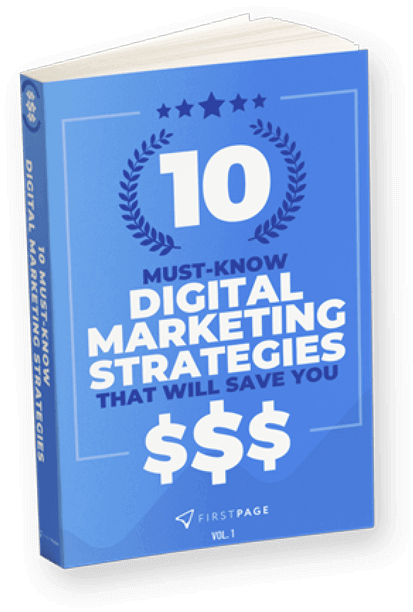 It’s not too late to start working on a video marketing strategy as part of your overall digital marketing efforts. Technology is cheaper and easier to use than ever before, so it’s possible for anyone to start creating and publishing marketing videos. With what you publish today, you won’t just engage your audience, you’ll improve your SEO and boost your brand’s online presence dramatically. keyboard_arrow_left How to Write High Quality Content for SEO?